Ah summer, beaches, barbeque, warm weather…too bad in 2010 it’s soon to end. But one thing is for certain, clients at my Los Angeles, Beverly Hills and West Hollywood chiropractic clinic will not miss the high incidence of neck pain that seems to pervade our hottest season. That’s right, as a chiropractor the most common malady I see in summer is neck pain. Neck pain comes in many varieties and rarely does it do so alone. What I want to discuss in this article is the various forms of neck pain, their causes, some associated areas that can and often do contribute to the problem, and what you can do to relieve your neck pain, including treatments and prevention. Read on and learn how to make your chronic, severe neck pain a thing of the past. The neck, like the low back, is an intricate area needing proper evaluation. Knowing where pain originates helps both diagnosis and treatment. Because of its proximity to the head, shoulders and upper back, pain in these areas often accompanies a neck issue. Also, each one of these regions, along with the TMJ, can refer pain into the neck. So let’s look at a few neck pain symptoms and uncover some possible causes of each. The most common type of neck pain I see in my Los Angeles, Beverly Hills and West Hollywood chiropractic clinic is spasmodic torticollis. Torticollis combines severe neck pain and spasm with locked-up joints (subluxations). This dual locking makes turning the head very, very painful. And torticollis doesn’t always go away cooperatively—it tends to hang around for awhile, sometimes lasting weeks, while stubborn cases can last a month or more. Torticollis causes lower neck pain and stiffness, with a sharp stinging in the shoulder blade. Turing the head increases pain, while bending forward, back, or to the side might it make it feel even worse momentarily. But believe me torticollis is bad enough on its own, and many who have it avoid moving their heads at all, resembling mannequins when circumstances demand anything above inertia. If you’re suffering from neck and back pain caused by torticollis, then you’ll want to see a chiropractor fast. Yowza! Have you ever had upper neck pain just beneath your skull that was sore to the touch and attached to a roaring headache? Then you’ve probably experienced an atlas subluxation. Anatomically, the first cervical vertebra (C1) is called the atlas. Atlas in Greek Mythology held the world on his shoulders. Atlas the vertebra holds your world on your shoulders because it supports the skull, which houses your brain, sensory organs, brain stem and other important structures. That makes this vertebra very important indeed. As the main rotatory vertebra in the cervical spine, the atlas turns on C2 taking the skull and associated structures with it. 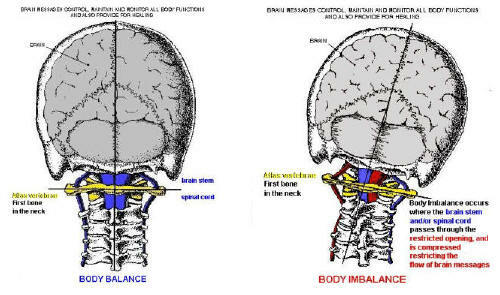 With an atlas subluxation a number of upper neck pain symptoms can arise, like the inability to turn one’s head completely (in some people it might be experienced as being able to turn the head more in one direction than the other), dizziness, headache, fatigue, insomnia, mood swings, allergies and others. This wide set of symptoms, plus the importance of the atlas in neurological geography and function, makes these subluxations a primary focus of some chiropractic doctors. 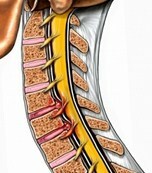 In fact, some chiropractic techniques are dedicated solely to correcting the atlas subluxation. 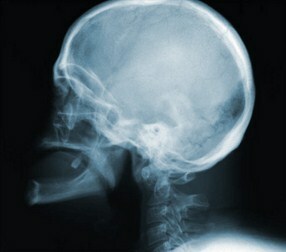 Headaches can also be caused by occipital subluxations. The occiput is the set of cranial bones sitting just atop of the atlas. When the atlanto-occipital joints subluxate, headaches and neck pain are the norm. “And that’s not that bad?” I said. Whoa! We took x-rays and sure enough her right occipital bone was jammed down into her atlas. With a few chiropractic adjustments, her headaches were relieved and she was back to sleeping. But I use this story to emphasize how important it is to get your neck pain and headaches checked out, especially if there has been trauma. In any case, your body won’t let you hold off for too long—it has a way of letting you know that it can’t, and won’t, go on that way much longer. Finally, the temporomandibular joint (TMJ) can refer pain to the neck. Clenchers, people that grind and clench their teeth, are susceptible to developing TMJ syndrome (TMJ disorder). The nerves going into the jaw also send branches to the upper cervical spine. Therefore, pain in the jaw can eventually become a pain in the neck. For more information on TMJ syndrome,read this article. Because of its relation to the shoulder girdle, it is pretty impossible to have neck pain independent of shoulder problems. Neck pain often radiates into the shoulders (as you will see shortly), and problems in the shoulder girdle just as often lead to stiff necks. Rotator cuff syndrome, a condition caused by weak rotator cuff muscles, forces the neck muscles to engage in many of the arm or shoulder movements we perform every day—definitely not desirable. As a result, the upper trapezius and levator scapulae muscles will spasm on the side of the shoulder injury. In fact, most athletes that come in with a rotator cuff sports injury also complain of neck pain and stiffness. For these people, it would be wise to find a good sports chiropractor to help resolve their neck and shoulder pain. One of the worst things I’ve seen in my Los Angeles, Beverly Hills and West Hollywood chiropractic office is the pain associated with a cervical herniated disc. Herniations are protrusions of the intervertebral disk material that impinge on a nerve root. This can cause severe neck pain with radicular symptoms—pain, numbness, and tingling radiating into the arm or hand. Depending on the nerve in question, a sharp, shooting pain can be felt in the shoulder, arm, hand or upper back regions. If you are suffering from both neck and arm pain, then you’d better get in to see a chiropractor right away. If you are suffering from neck pain lasting for more than two days, it would be wise to seek care from a qualified professional. Treating neck pain is in the scope of many health disciplines including medicine, acupuncture and physical therapy. Each one of these fields contributes a unique approach to the treatment of neck pain; but if yours is a musculoskeletal problem that stems from a misaligned vertebra (subluxation), then your best bet is to visit a chiropractor. Chiropractic works by opening stuck joints, returning movement to the spine, and removing any nerve impingement that might be happening. If a disc herniation is involved, chiropractic is a natural way to provide a long-term solution. Chiropractic gets to the source of the problem, not just addressing the symptoms but finding the area of dysfunction and returning it normal physiology—in other words, making the area work the way it’s supposed to. If you’ve read myarticle on the nervous system, you know that the definition of health is simply the body doing what it’s supposed to. And that is precisely what chiropractic aims to do, return the body to normal function. When function returns, pain goes away. But mind you, getting rid of pain is not the only name of the game as far as chiropractic is concerned; return to function is the real goal, because when function returns, pain goes away on its own. Pain is nothing more than a warning signal telling you when something is wrong. Shutting off the alarm instead of investigating what is causing the alarm to go off only sets you up for a recurring problem. Once found, the solution can then be applied. Let’s look at a few treatments you can expect at my Los Angeles, Beverly Hills, and West Hollywood chiropractic clinic to remedy your neck pain. The first and primary solution a chiropractor will provide for neck pain is the chiropractic adjustment. Chiropractic adjustments remove subluxations, bringing movement back to the non-moving spine, and ultimately reducing muscle spasms, inflammation and nerve irritation. As a whole, the chiropractic adjustment brings neck pain relief by returning proper function and allowing the body to operate the way it’s supposed to. Whether your neck pain symptoms result from torticollis, an atlas or occipital subluxation, or a herniated disk, chiropractic adjustments help relieve acute or chronic neck problems by restoring the spine to proper function. The spine is the vehicle of the central nervous system, and as such, its undisturbed movement is essential for optimal health. Only a chiropractor can provide a health restoring adjustment, and neck pain relief is sometimes just an adjustment away. People often ask me the difference between chiropractic and physical therapy. One obvious difference is that chiropractors adjust the spine. But as far as physical therapy modalities—ultrasound, heat, electric muscle stimulation, rehabilitative exercise—are concerned, chiropractors are fully trained in their use and application. So depending on the chiropractor you choose (if unsure on how to find a chiropractor that suits your needs,please read this article), you might also receive therapies to reduce any muscle spasms or inflammation that have set in. Some therapies I use in my office, particularly to help reduce neck muscle pain, are heat and electric muscle stimulation. These two physical therapy modalities work on tight, sore muscles and allow the chiropractic adjustment to go off without a hitch. They also feel real good. That should be enough to get you to your local chiropractor’s office today. The medical approach to neck pain is to investigate the cervical region for pathologies. X-rays or CAT scan are likely, and the treatment will most likely consist of pharmaceuticals—muscle relaxers, pain killers and anti-inflammatories. Nothing wrong with this regimen provided it’s short-term and used specifically to get you over a hump. Unfortunately, too many people use these drugs in hopes that they alone will fix the problem; but without getting the physical cause corrected, pharmaceuticals only mask the underlying problem, and a recurring painful neck will likely be your future. Acute neck pain resulting from an injury (auto accident, fall, sports injury) requires proper diagnosis and care. 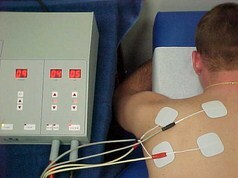 Something you can do on your own, however, before getting checked by a sports chiropractor is to ice the injured area. Ice is great for pain management and controlling inflammation; and as a preventative for chronic neck pain, nothing beats ice. Ice will break inflammation and block the laying down of scar tissue, which can ultimately lead to further tearing and injury. When radicular arm pain accompanies severe neck pain, like from a herniated disk, ice is critical in starting the healing process. Trust me when I say you’ll be helping your own cause dramatically by getting ice onto the injured area right away. As a caution, if what you are feeling is the sharp, cramping shoulder and back pain of torticollis, you’ll need heat—not ice! The way to know is by pressing on the area of neck that hurts. If the pain is severe and localized (at the point of pressing), it probably needs ice. If there is pain but it feels as much in the shoulder blade or upper back as it does in the neck, it’ll probably respond to heat. As a final confirmatory, the respective therapies will feel right for the right disorder. So ice will feel good on inflammation, and heat will feel good on muscle spasms. Other than that, get in to see your sports chiropractor immediately. One quick word on neck pain and spinal decompression: Spinal decompression works by tractioning the neck vertebrae away from each other, thereby taking pressure off the impinged nerve(s). It works for sure, but the same thing can be done by a good chiropractor. In fact, the results are the same—nerve impingement corrected, movement restored, spinal neck pain resolved…but at a fraction of the price. Just thought that would be something you’d like to consider. Preventing neck pain is the wisest thing you can do to avoid your neck issue from becoming a chronic recurring problem. Prevention comes from three avenues—regular chiropractic care, strengthening the shoulders and improving posture. Regular chiropractic care keeps the neck moving and functioning the way it’s supposed to. By removing subluxations, neck motion happens unencumbered at the spinal joints, and ultimately this will prevent degeneration and neck arthritis. Without a doubt, chiropractic should be a part of your regular health regimen to prevent future neck pain problems, as well as to keep your body functioning optimally. 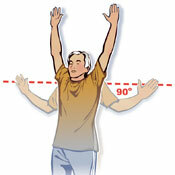 Strengthening your shoulders will also go a long way in preventing neck pain. Remember that the shoulders cannot be separated from the neck, so strengthening the small rotator cuff muscles will take much pressure off the neck muscles in stabilizing the region. A good sports chiropractor can show you the proper neck and shoulder exercises to stabilize the area and prevent future neck pain. Posture goes hand in hand with neck and shoulder strengthening. Good posture takes pressure off the neck and spine and preserves the discs. Good posture is a life-long process and needs to be thought of continuously. A good chiropractor will guide you in your postural development, but in this regard so can a talented yoga or Pilates instructor, so think of improving your posture today. Visit your local chiropractor, or join a yoga or Pilates class, and watch your posture straighten up significantly. Finally, evaluating your bedding is an essential part of preventing neck and back pain. 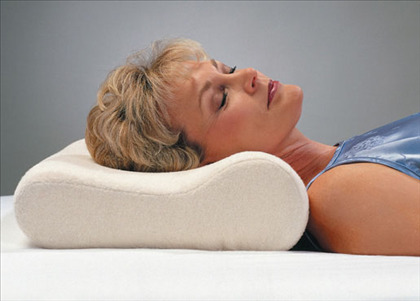 I personally likememory foam products as the best pillows and bedding for neck pain prevention, but frankly, whatever feels most comfortable to you is what is most important. Just make sure your bedding is up-to-date: five years is when you need to start thinking about new bedding and ten years is too late. If your mattress and pillow are ten years or older, then it’s time to go shopping for a new set. If you use memory foam products, then you will probably be able to squeeze twenty years out of your bedding. How ‘bout that? Don’t underestimate your neck and back comfort as it relates to bedding—it makes all the difference. If you are suffering from neck and back pain, seeing a doctor is important to determine the cause of your problem. Hoping your neck pain will go away on its own is the least productive action you can take. Don’t suffer unnecessarily—see a qualified professional that can give you an accurate neck pain diagnosis and effective treatment to alleviate your neck pain today. If you reside in Los Angles, Beverly Hills or West Hollywood, sports chiropractic care is just a phone call away (323-651-2464). Summer may be over, but waiting to address your neck issue will surely make your first months of autumn intolerable. Get back to living your life pain free—visit your sports chiropractor and alleviate neck pain for good.